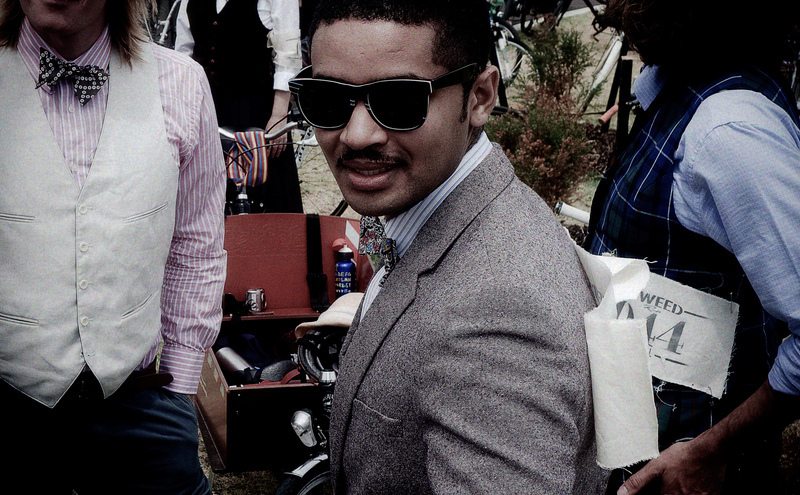 Hard to believe the first ever Tweed Run was just two years ago in London. 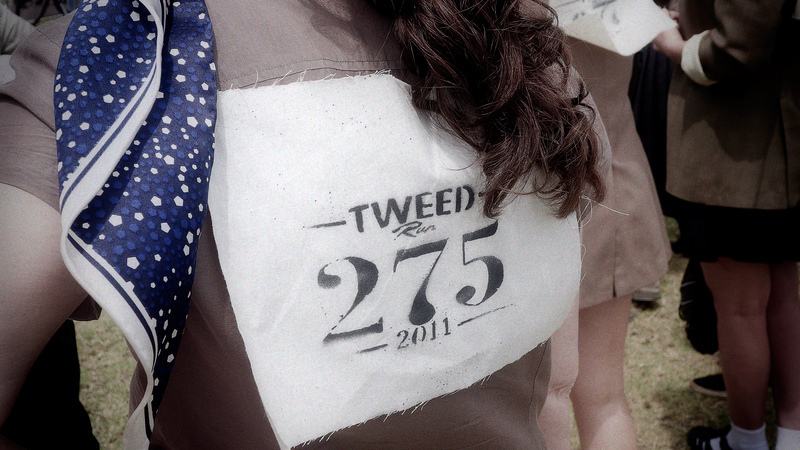 The event has grown at a phenomenal rate with over 50 Tweed Runs scheduled worldwide for 2011. Sartorial splendour ranging from the colonial to the contemporary were the order of the day for WA's second Tweed Run, held yesterday in Fremantle. Judging by the calico back numbers issued by the organisers Dismantle there were close to 400 riders participating in the ride from Leighton Beach to downtown Freo. Hey, welcome to Perth... sometime within living memory we copped a tag - Dullsville. For aged crones like me this seemed a boon for the boomtown, it held the promise of a few more years living in blissful obscurity (I've been thinking of moving to Lake Grace if things get much busier). Even a hardened poetry reading addict like me will confess that if you measure our indoor culture; the visual and performing arts, food and nightlife, using the same criteria as larger less isolated urban centres like say, New York, Sydney or Timbuktu, Perth can look a little light on. This misses Perth's point though, to wit, get out of doors. Beaches are regarded by many as our strong suite, but that idea falls to pieces sometime between 10AM and 2PM when the "Doctor" comes tearing in. The Fremantle Doctor is Perth's Mistral. Except less delicate; exfoliation doesn't begin to describe the blast you'll get. Riverside is where you'll want to be. It's a wide river, but it isn't deep; you can wander about in much of the Swan without getting your elbows wet. Who cares though? You're probably not thinking of swimming in it and the sailors look just as good bobbing round in the deeper bits as they do when they've run aground. One of Perth's flasher boating locales is Royal Freshwater Bay Yacht Club and that is where this ride begins. Taking a leaf from DPI's safety first book these round the bridges rides all go clockwise to minimise risky right turns, feel free to ride upstream from the club rather than down. If you live within coo-ee of the river downstream from Perth this ride is a must. 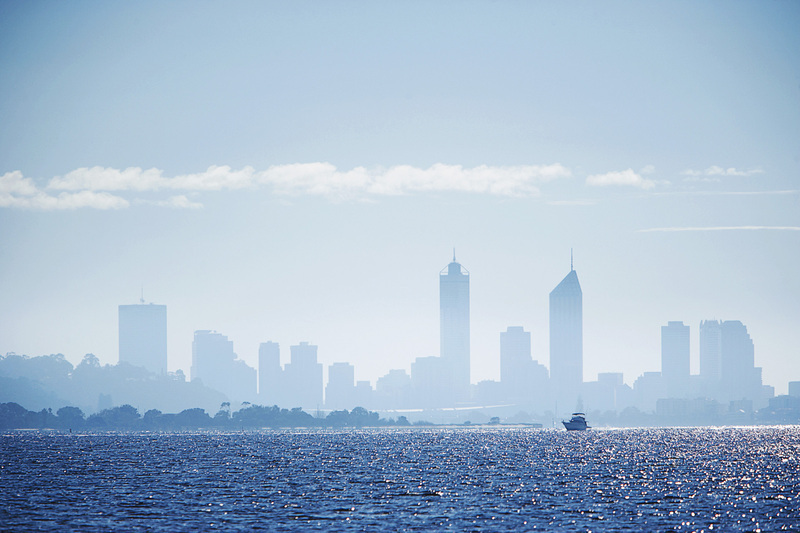 It takes in some of Perth's best river views, a ton of parks (everything from swathes of sun drenched lawn to winding bush paths), great playgrounds, a swag of pubs, coffee shops, kiosks and restaurants. 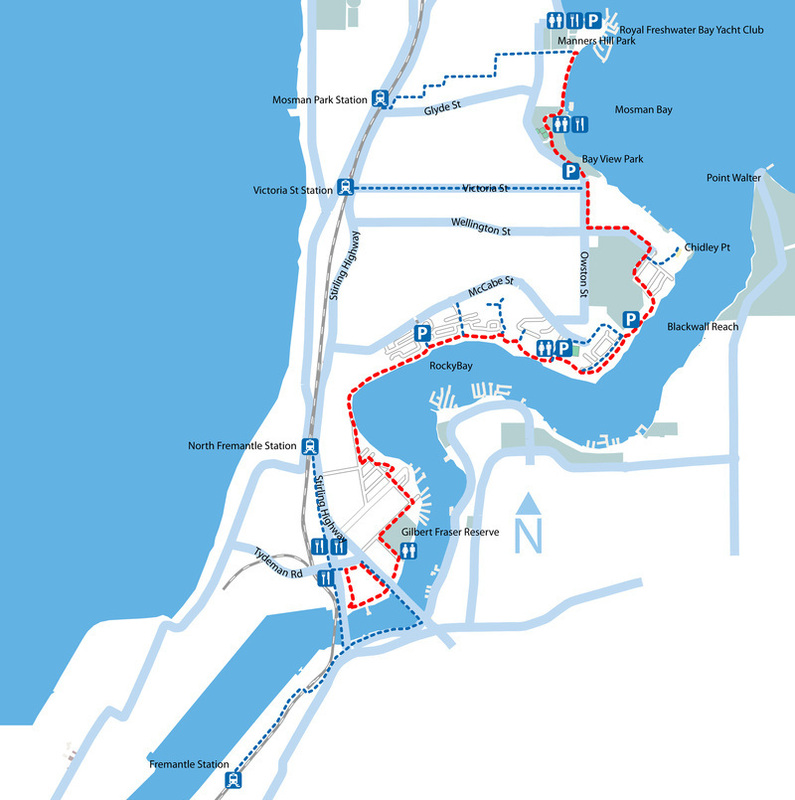 For the south of the river sections you can choose between mostly very good bike path or quiet on-road riding all the way from Fremantle Traffic Bridge to Canning Bridge. From Canning Bridge to the city it's bike path only. The bike path is good, if busy. North of the river from the city back to Freo is spotty. 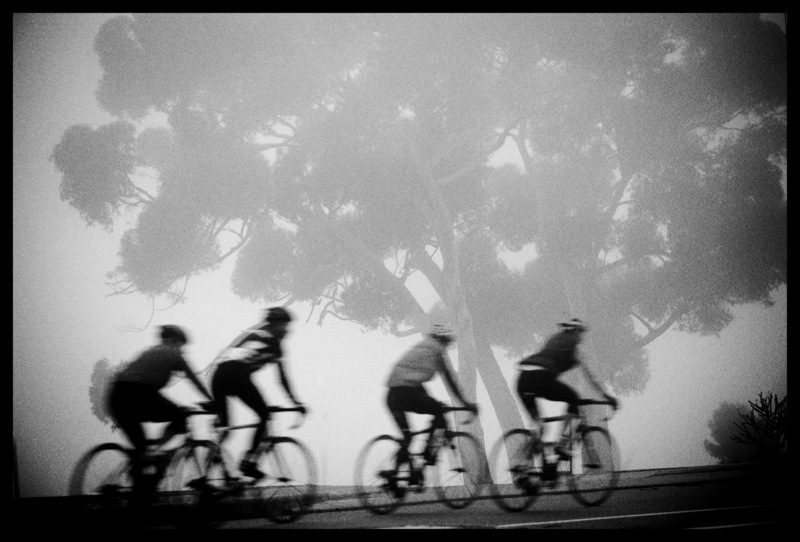 Sticking to the paths can get you in a bit of a muddle especially as you ride through the City of Nedlands. Sticking to the roads can put you close to some fast moving traffic, particularly from the Narrows Bridge to UWA. Most of the ride is follow your nose stuff, but there are a few options in the Fremantle to Point Walter and the Narrows to Mosman Bay sections. The other sections are detailed here; Mosman to Freo, Pt Walter to Canning Br and Canning Br to Narrows. By bike, just ride in from home. 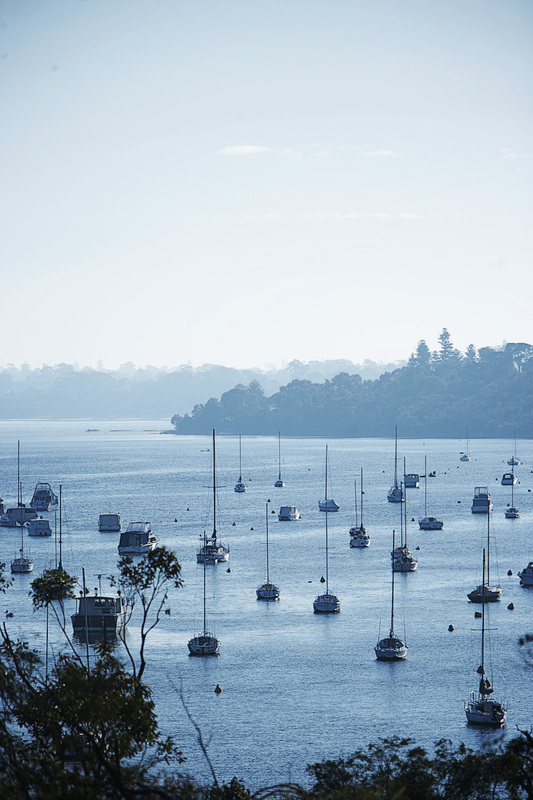 If you don't live close enough you can find carparks with easy parking at or near Tawarri Reception Centre in Nedlands, Point Resolution Reserve, Dalkeith, McCabe St Mosman Park (by the tennis courts), East St Jetty and Point Walter. You can also park at these though they can get pretty busy in warmer weather; Matilda Bay, Keanes Point, Bay View Terrace, Minim Cove, East Fremantle by Zephyr Café, Barrack St Jetty and the Old Swan Brewery. The easiest train access is Claremont, Mosman Park, Victoria St, North Fremantle and Fremantle on the Fremantle Line. Take the Mandurah Line for Esplanade and Canning Bridge Stations. The first is an on-road training circuit. It has a couple of short stretches that expose the cyclist to heavy traffic on Stirling and Canning Highways. And it's on shared paths between Canning Bridge and UWA, because it's illegal to cycle on the freeway and unless it's quiet it's crazy to ride on the de facto freeway that is Mounts Bay Road. The second takes the path option wherever it is available. Sadly the The Shire of Nedlands and the Towns of Claremont and Peppermint Grove planners have not seen fit to provide separated paths through much of their patch. You'll be obliged to ride on the road or footpath for several kilometres between the eastern end of Jutland Pde and Royal Freshwater Bay Yacht Club. Where there is a choice between two paths, this route takes you on the one closer to the river. Where there isn't a path this route follows the road in preference to the footpath. 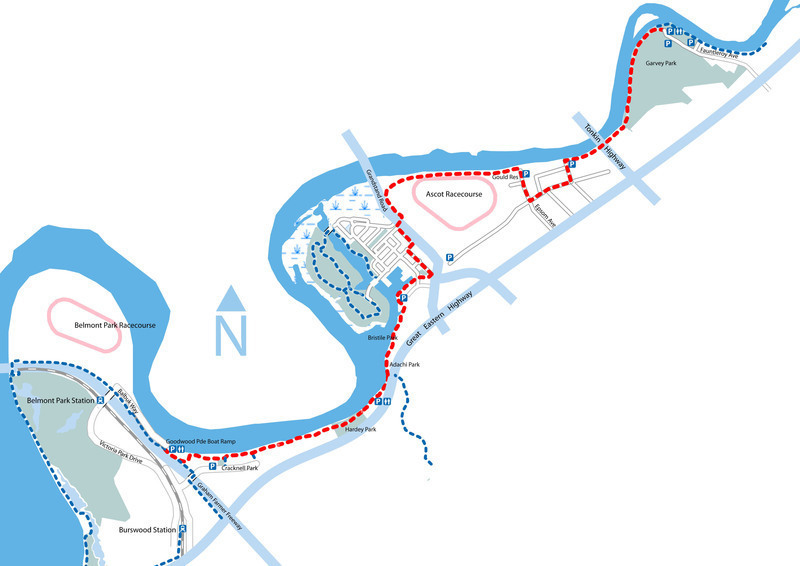 What's not to love about 11 km of almost unbroken shared path running between a 1 km sandbar in the Swan River and Perth's most imaginative riverside playground? This path is flat, except for a little climb to Heathcote. It's continuous except for a handful of road crossings, all of which are associated with riverside carparks. These factors make it brilliant stretch of path for young riders. Quiet roads with views as good as those on the paths mean that faster cyclists tend not to ride the paths. Massive swathes of lawn and limited beach access, particularly round Alfred Cove mean that dog walkers aren't a big issue, also most of them seem to respect the "dogs on leads" signs. Unlike areas like South Perth, the population density is low so there are significantly fewer pedestrians to contend with. Life in general seems to move at a rural pace round here. On top of this, while most of the path is an older fashioned concrete one, you know, a little narrower than it probably should be and a little bumpier too, it is on the whole in very good condition. It's easy to follow and has a fun boardwalky bit round Point Dundas. In my experience a half competent 4 or 5 year old can make it out and back in few hours as long as the day isn't too hot, they have plenty of air in their tyres, and they have a recharging icecream and play with their mates at the world's best playground at Heathcote. By Bike; there's a good path from Fremantle (see here). There's a good path adjacent to the Kwinana Freeway (see here), and a good path on the west side of the Canning River, these last connect to the bike paths on both sides of Canning Bridge. By Car; parking gets busy at Point Walter and at Heathcote on sunny weekends. Suburban streets in the vicinity of the start and finish points of this ride are pretty empty though and the streets reasonably quiet - not a great solution if you have littlies in tow. There is more parking where Alfred Cove is at its closest to Canning Hwy, and then again to the north of this point in Applecross on the foreshore. By Train; Canning Bridge Station is the closest. 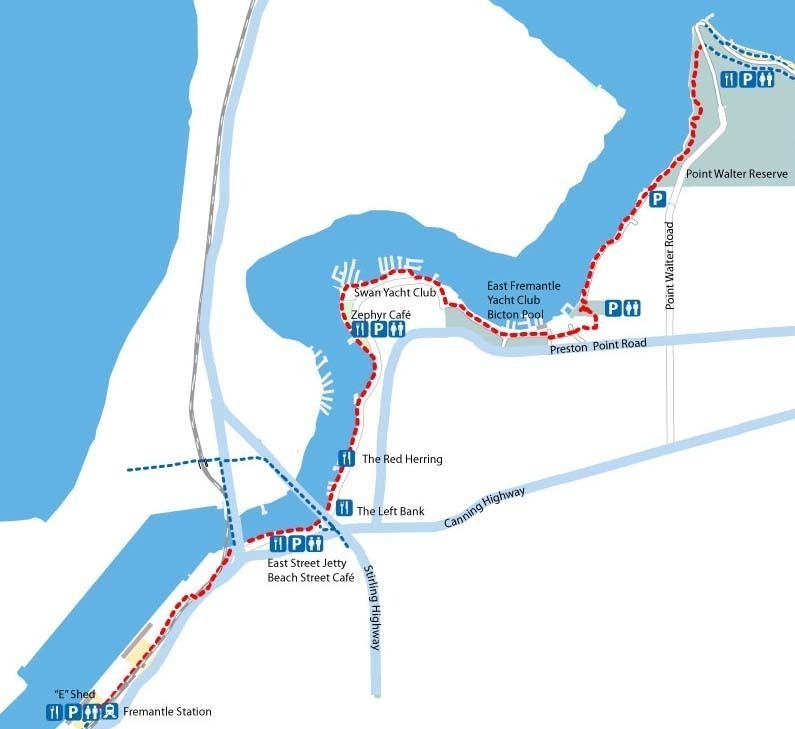 If you're feeling energetic you could hop off at Bullcreek Station, exit to the west side and follow the path north from there to Canning Bridge - either cross the Canning River at Mt Henry Bridge and re-cross at Canning Bridge or head up the west side of the Canning River past Deep Water Point. Taking a leisurely spin round Blackwall Reach is guaranteed to bring a smile to the face, salt air to the lungs and a picture of Rat and Mole boating on the river to the mind. There are no willows, the bush will suffice, no wild wood, though I suppose the tips of the CBD towers looming over Dalkeith to the north could represent a distant home for weasels. Two things are certain, you will see plenty of boats of all kinds and there is great access to river views and river adventures. Take a picnic and hunker down in the beachside shade at the southern end of the Point Walter Reserve. Take a handline and try your luck off the jetty at Point Walter. Or go the big adventure; lock up the bikes at lowish tides and walk the 1 km out to the end of the sandbar that is Point Walter Spit, you'll mix it with swans and pelicans fishing in the shallows and by the time you've reached the end you'll find yourself more than halfway across the river. The ride around to the reserve is peppered with great views, playgrounds, a classic riverside burger joint (The Kiosk), a great pub (The Left Bank), a good restaurant (The Red Herring), a busy family friendly café (Zephyr), jetties, river beaches and a cool pool. Best news is you can ride all but a very short, very quiet section completely on shared paths. Aside from two short steep hills this ride is pretty flat. You can begin the ride on the north side of Fremantle Train Station, either catch the train or park your car by the E Shed. You'll have to cross the road at the rail underpass at the north eastern end of the wharf and ride through the carpark at East St Jetty between the Fremantle Traffic Bridge and Stirling Bridge. From there a choice of on-road dedicated cycle lane or off-road shared path will take you past the aforementioned Left Bank, Red Herring, Zephyr Café and Swan Yacht Club. The path gets a little difficult to follow as it wends its way across the club's slipway and along the restaurant verandah! A sharp uphill section sees a few souls dismount and walk their steeds 150m. This is followed by the only on road section of the ride. It runs across the north boundary of a park and tennis courts and is rarely used by cars. In any case, while narrow, it is flat and straight; motorists who do find themselves here are travelling slowly and have good visibility. At the "T" take a right and 20 metres on a left into the dead end of Angove Lane, a cul de sac. Cross another quiet street into a park and follow your nose back to the river down Phipps St. This is the charmingly named Bicton Quarantine Park. It offers shade, elevated views across Blackwall Reach, free barbeques, lots of lawn and toilets. At its base is what remains of the old Bicton Baths, the sort of place that people's grandparents learnt to swim and throw jellyfish at one another. Perth's coolest pool is here too. A purpose built water polo pool it is an even 2m deep all over. It sports some of the best public pool views in WA. Onward. A meandery path follows very close to river's edge for about a kilometre round Blackwall Reach Road to the western end of Point Walter Reserve. 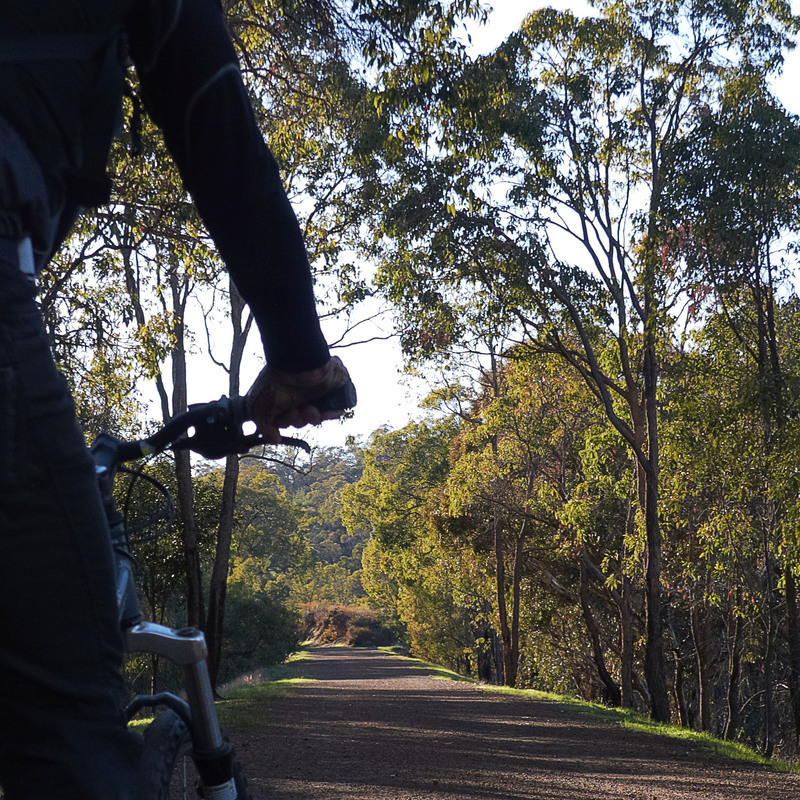 Once in the reserve choose either the winding concrete path or get a few minutes of dirt riding on a couple of short trails heading up to Point Walter. Starting from Freo Station the ride distance is 8.2km. Knock a couple of k's off if you're starting in the vicinity of the East St Jetty. Getting there by train is easy - Fremantle Station, the terminus on the Fremantle line is the best option. The path passes the station on the other side of the tracks, turn right as you exit the station to get to the crossing. 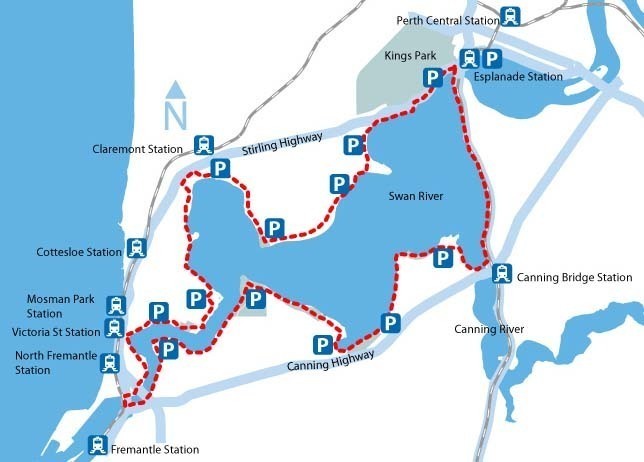 Car parking is available at E Shed (near the station), East St, John Tonkin Park, Bicton Quarantine Park, and at both ends of the path through Point Walter Reserve. E Shed, John Tonkin and the north end of Point Walter Reserve can get very busy on weekends though. Ride in from points south on the shared path from South Beach and beyond. From the west there are shared paths on the downstream side of both bridges. Heading east the path is continuous all the way to the very good PSP that runs alongside the Kwinana Freeway. 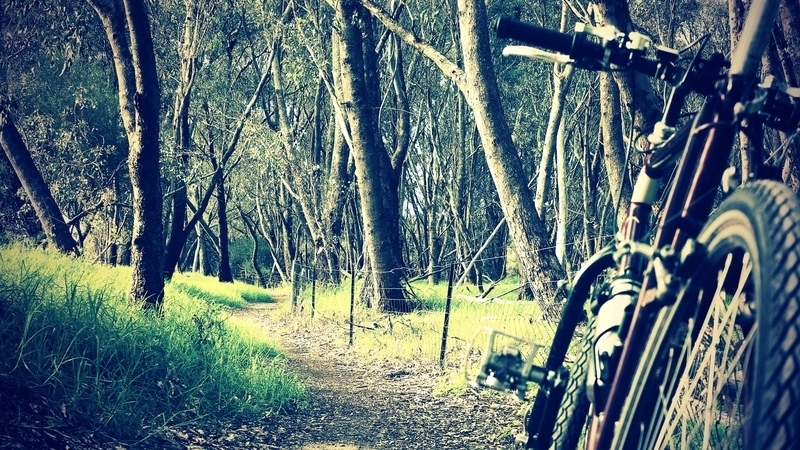 Access from Bicton, Attadale and East Freo is mostly via on-road cycle lanes. See the DPI map of the area for detail. Start point is Manners Hill Park / Keanes Point / anywhere in the vicinity of Royal Freshwater Bay Yacht Club. Head south and stick to river. After politely meandering along Johnson Pde south of RFBYC for about half a k, you face a short awe inspiring hill. Most riders are advised to dismount and walk their steeds up it. Alternatively retrace your steps and turn west on Johnston St, then 1st left on Bay View Tce, for an easier climb. Either way once you reach the Mosman Park Bowling Club at the top of the hill the worst this ride has to throw at you is over! 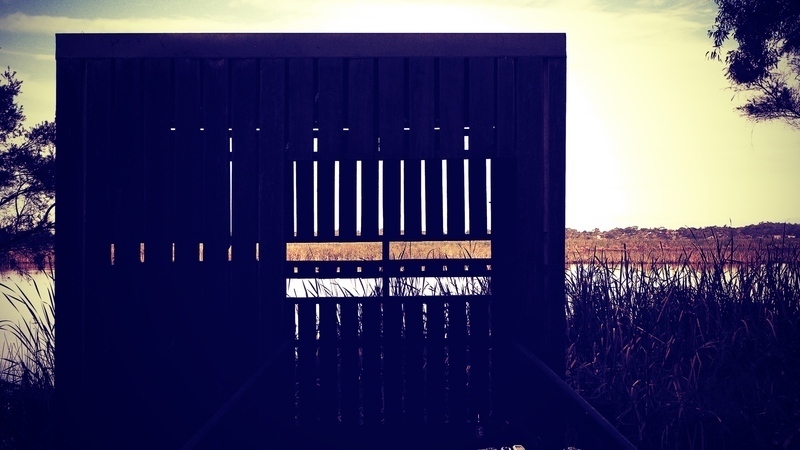 The path east through Bay View Park offers one of the best elevated river views in Perth. If you fancy a biscuit break park yourself under one of the big sugar gums right down at the SE end of the park and take in the goings-on at Point Walter Spit. From here around to Blackwall Reach you're mostly on the road or the footpath. Follow Owston St south and then Wellington St east. Near the bottom of Wellington on your right there is a narrow paved trail through some bush restoration. A detour down Caporn St and Chidley Way takes you to Chidley Point where you can watch stink boat wash erode a pretty little beach. Follow Marshall Road south around Blackwall Reach, as it rises away from the river keep an eye out for a path to your left. This path takes you across a cliff front on a boardwalk and then drops you dramatically down into Minim Cove Park. From here you're on paths for a couple of kilometers around Rocky Bay. Follow the path as far as you can, it finishes at the end of Rule St in North Fremantle. Take the second left off Rule St and then right onto Corkhill. Another dramatic drop puts you back down at River Level near Pier 21. Heading west along John St takes you past Gilbert Fraser Reserve where you can often stop to take in a spot of local football or cricket. If you prefer to stay off the road you can get around the front of Pier 21 by turning left onto John St instead of right. There is public access along the foreshore but no path, so expect to walk your bike some of the way. Almost there! a couple of little timber bridges take you through a tidal wetlands on the upstream side of the Stirling Bridge (AKA "New Bridge"), then you're under the bridge and heading across the fronts of the Northport apartments. If you're going to carry on round the river you can chuck a right as soon as you're under the new bridge. A hundred metres up the path is a hard right turn that puts you on the bridge path. I strongly recommend ignoring that for the moment and completing the journey to the old bridge. For one you can see the stumps of Stick Bridge, the bridge that predates either of the extant bridges. For the other, the narrow plank walkway under the old bridge takes you halfway out into the river. If you're lucky enough to be here when the tide is running it is a wonderful reminder of power of water. You can also watch boats negotiate the narrow under-bridge passage at close proximity and get a reasonable view of goings on in the inner harbour. Getting there. Crikey! you're spoilt for choice... By car. There is a reasonable amount of parking available around Manners Hill Park and RFBYC, it does get busy when the weather is warmer. Street parking and the carpark opposite Jabe Dodd Park are alternatives. Parking in Northport between the bridges is limited also. There is some parking available near Gilbert Fraser Reserve. 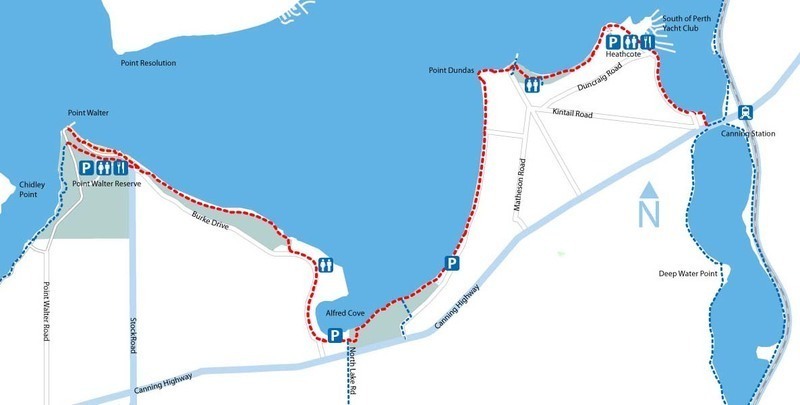 If you don't mind starting a little further afield there is parking at Port Beach (just follow Tydeman Rd to the bridges) or across the river at East St Jetty. By train. From the north end of the ride hop off at Mosman Park Station. Cross Stirling Highway at Glyde St and head north up the footpath to Stuart St. Head east on Stuart, 1st left on Monument, 1st right on Willis, left on Harvey, right on Swan, go to the end of Swan and then left on Palmerston and right on Johnstone St. It's the flattest, quietest route to the start point. At the other end, North Fremantle Station is the closest, but it has the disadvantage of being a kilometre up Stirling Highway. Better to cross the highway at Tydeman Road, head across the old bridge and head for Fremantle Station. Once over the bridge turn toward Freo and cross at the first set of traffic lights and then turn right. 150 metres to the south west is the railway underpass, once on the other side you get cycle path almost to the doorstep of Fremantle Station. Alternatively cross on the new bridge, head for the river and follow the riverside or on-road path round to the rail underpass. In addition to the arriving by train directions, if you're arriving by bike, you can come in from the The Esplanade on the north side. For those that fancy a nibble before, during or after the ride you have so got it made. For icecreams, chips and other classic caff fare you can't go past the kiosk on Freshwater Bay. Post race chips and beer up at the yacht club bar are pretty good too. You'll have to dig considerably deeper (and maybe make a reservation) for lunch or dinner at Mosmans on Johnson Pde or Harvest on Harvest S N Freo. In North Freo you can also enjoy a gourmet burger at Flipside, (quality takes time so don't be in a hurry) or pub fare at the Swan Hotel. You'll be tripping over free barbecues thanks to generosity of the Town of Mosman Park; find them at Keanes Point Reserve, Jabe Dodd Park, Bay View Park (tucked away south of the carpark), Chidley Reserve and Minim Cove Park. Facilities like these and Mosman Park's clean toilets are notably absent once you cross the border into North Freo. Gilbert Fraser Reserve has toilets and a playground. Though some of the paths around Herdsman Lake are paved you'll see the best of it on the dirt. On the north east side there are a few very pretty stretches of path through paperbark and eucalypt groves. The entire circuit is flat making it a cruisey ride for novices and children. Distractions are plentiful for those that like to stop to catch their breath and enjoy the scenery. Expect to cover about 8 km if you explore all the little side trails on the circuit. The West side of the lake is dominated by large grassed areas. This side, once home to market gardens and stables, was controversially "reclaimed" for residential real estate in the 1980s. The contrast between the east and west sides of the lake is pronounced to say the least. Trees seem to have been outlawed in Floreat Waters! Settlers Cottage was rescued and relocated when Pearson St was widened in 1991. It is operated by the National Trust but is currently closed. Access by bike and car couldn't be easier. By bike; there are so many entry points to the path that it doesn't make sense to list them, just enter from whatever direction you're coming in from. The sealed cycle path adjacent to Jon Sanders Drive is part of the Perth Bicycle Network Continuous Signed Route NW9. If you fancy getting there by train, Glendalough station is very close. Head west over the pedestrian bridge at the southern end of the station, then south on the bike path to Powis St. Powis St west takes you straight to the section of the NW9 route mentioned above. 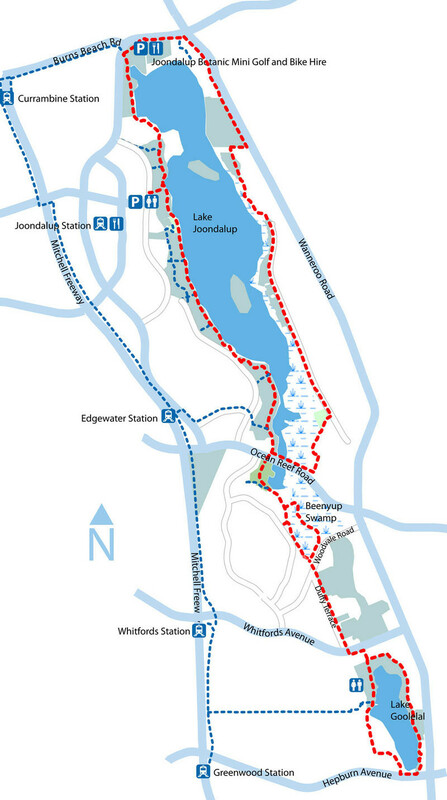 By car - the main roads around the edge of the lake are Herdsman Parade, Jon Sanders Drive and Pearson Street. From freeway south take the Powis Street exit to Jon Sanders Drive. From freeway north exit at Cedric Street and take Ellen Stirling Boulevard, Scarborough Beach Road and Stephenson Avenue to Jon Sanders Drive. Other main roads into the area are Hale Road from the west and Selby Street from the south. “City of Opportunity”(!) a couple of constructivist silhouettes optimistically proclaim at points around Belmont and its subsidiary suburbs. This mostly flat 8k ride is actually a pretty good advertisement for the best that Belmont has to offer while neatly managing to avoid the worst. The best of it should be obvious from even a disdainfully fleeting glance at the map; it follows the mid reaches of the Swan River as it wanders aimlessly across the flat of the coastal plain. The path ducks in close to the river now, then briefly climbs up and back for a cinematic panorama. Marvel at the way invasive bamboo has taken a chokehold here. Be enchanted by habitat restoration underway there. 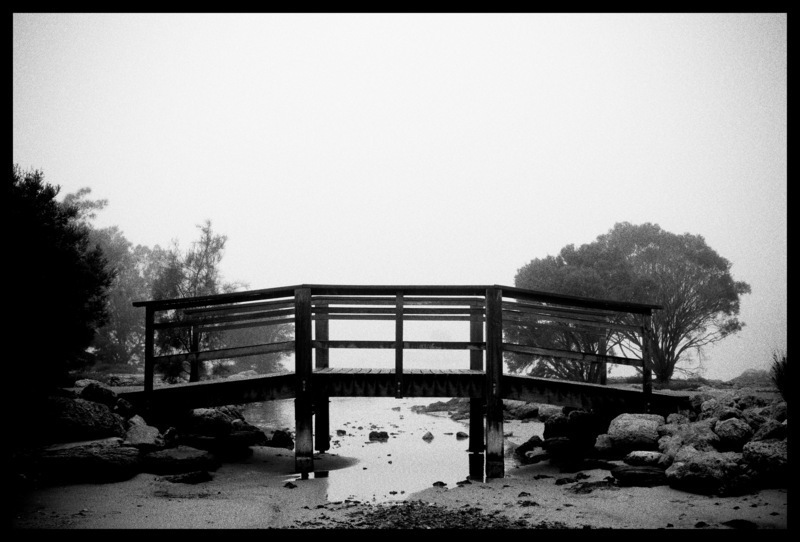 A patch of remnant native bush opens to reveal pretty jetty that is a wedding photographer’s dream. This part of the river is close and sheltered making it a favourite haunt of rowing teams in training. I deduce from the presence of fisherfolk in dinghies and on shore there must be the odd fish of size still left poking about. At the upstream end round where Redcliffe Bridge crosses you may spot some rather larger critters bobbing about in the drink; Belmont is home to Ascot Racecourse. A good two thirds of this ride is in Ascot, the suburb, and Ascot, the suburb, has a higher population density of the genus equus than is usual in the Perth metro area. The path is dotted with interesting oddments of local history. The most dramatic are the old brick kilns and their associated chimneys south of the racecourse. In a brickie sort of vein there’s also Bristile Park which once was home to display panels of roof tiles. A cute gnome size brick house remains. Unoccupied it seems. The path for the length of the ride is mostly concrete or tarmac in good condition. A stretch of narrow boardwalk at the south end of Garvey Park provides comic relief. The few hundred metres of street riding to the east of Ascot Racecourse is well enough sorted with a good on road painted lane. Motor traffic here is light and accustomed to frequent horses and riders so it’s about as safe as street riding gets. The only real drama is crossing Grandstand Road between Ascot Waters and the racecourse. Cyclists are let down badly by signage here. For those on a meandery sort of a day, blunder your way through Ascot Waters admiring the ghostly Stepford perfection of it all and cross to the north of the junction of Waterway Cr and Grandstand. Once on the northeast side head northwest on the footpath toward Garrett Road Bridge. The cycle path heads east around the north side of the racecourse just south of the bridge. Travelers coming from Garvey Park should cross Grandstand as soon as possible and either go through Ascot Waters or down the footpath on Grandstand. If you’re looking for a shorter ride simply turn back when you reach Grandstand Road from either direction; you’ve come about half way along anyway. Weekday mornings and evenings, the southern half of it particularly, (from Ascot Racecourse to Goodwood Pde) is a commuter run. There are some sharpish and blindish corners so it pays to be somewhat less than witless on this stretch at these times. It’s a great out and back ride manageable by just about anybody owing to its mostly flat nature. There are a couple of short steep parts half way between Hardey Park and Cracknell Park. If cycling picnics are your bag you're in for a treat! There are free barbecue facilities at Adachi Park, Gould Reserve (at the end of Epsom Ave) and Garvey Park. Garvey Park is huge and shady (lots of dog walkers though). It’s the home of the Ascot Kayak Club and also a jolly good kiosk which is open 5 days from 8 am. There are toilets at the boat-ramp, Adachi Park, The Esplanade and Garvey Park, though the day I rode the only one that had any loo paper was at Garvey Park - you have been warned! Closest train stations are Belmont Park (not all trains stop there though), Claisebrook on the city side or Burswood. By car, take the Victoria Park Drive exit from either direction on the Graham Farmer Freeway, stay on or head to the east side of the freeway and park at the Goodwood Pde boat-ramp. Which, by quirk of history and urban renewal, is actually on Balbuk Way not Goodwood Pde. 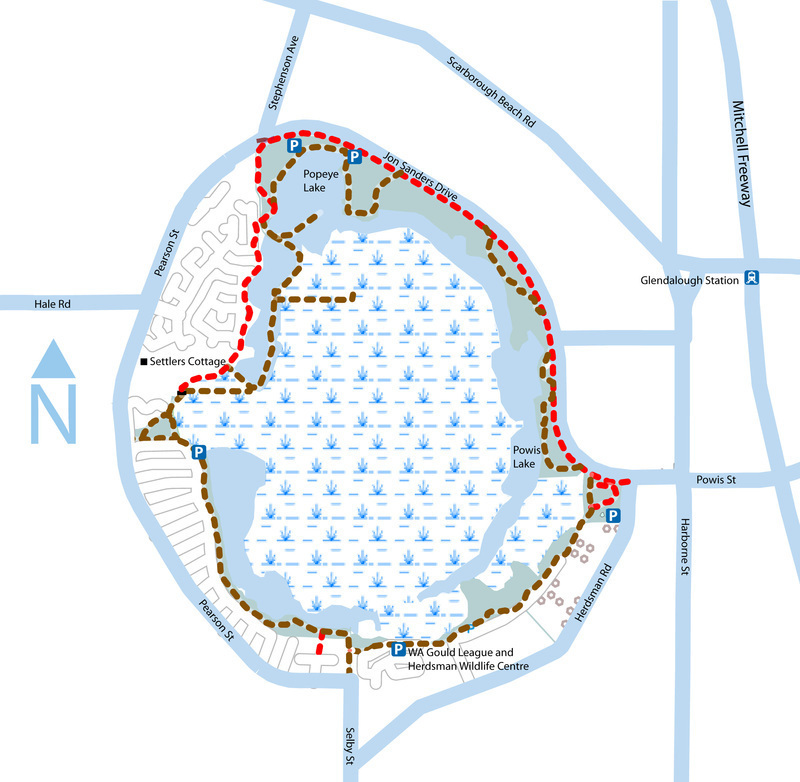 There’s a bike path from Guildford that comes down Fauntleroy Ave. Car access is Fautleroy Ave with plenty of parking at Garvey Park. Trains run rather inconveniently on the other side of the river.